Craig L. Price joined Belkin Burden Wenig & Goldman, LLP in 2004 and became a Partner in 2007. 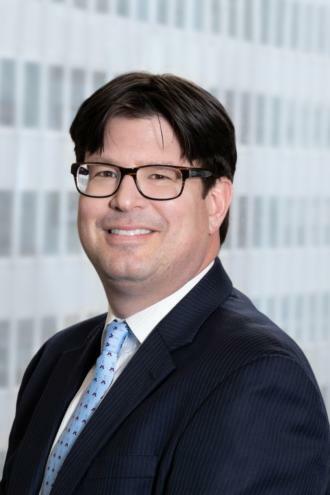 He is an accomplished transactional attorney focused on sophisticated commercial and residential real estate matters, including single asset and portfolio real estate acquisitions and sales transactions of multifamily, retail, condominium, office and industrial properties. Mr. Price handles sophisticated financing transactions inclusive of securitized mortgages, acquisition and construction loans, as well as, commercial leasing matters of office, retail, triple net, ground, telecommunications, store and loft leases on behalf of both owners/developers and tenants in office buildings, malls, strip centers and residential and commercial buildings. Mr. Price leads the residential transactional practice at BBWG and is a leading professional in the New York City residential market, with extensive experience in townhouses, cooperative and condominium law, representing purchasers, sellers, lending institutions, sponsors, holders of unsold shares and cooperative and condominium boards, both in the capacity as transfer agent and as counsel. Mr. Price is a faculty member on transactional real estate law for the New York Residential Specialist (NYRS) course held at the Real Estate Board of New York (REBNY). He has represented well known real estate families, not-for-profits, athletes, actors, best-selling authors, musicians, and the families of foreign dignitaries. He frequently provides educational presentations at real estate brokerage firms throughout New York City, including Cushman & Wakefield, JLL, Avison Young, Compass, The Corcoran Group, Douglas Elliman, Leslie J. Garfield & Co. and Warburg Realty Partnership. He has served on distinguished panels of real estate experts on behalf of Lorman Education Services, the Real Estate Institute and the University of Michigan Alumni Association.